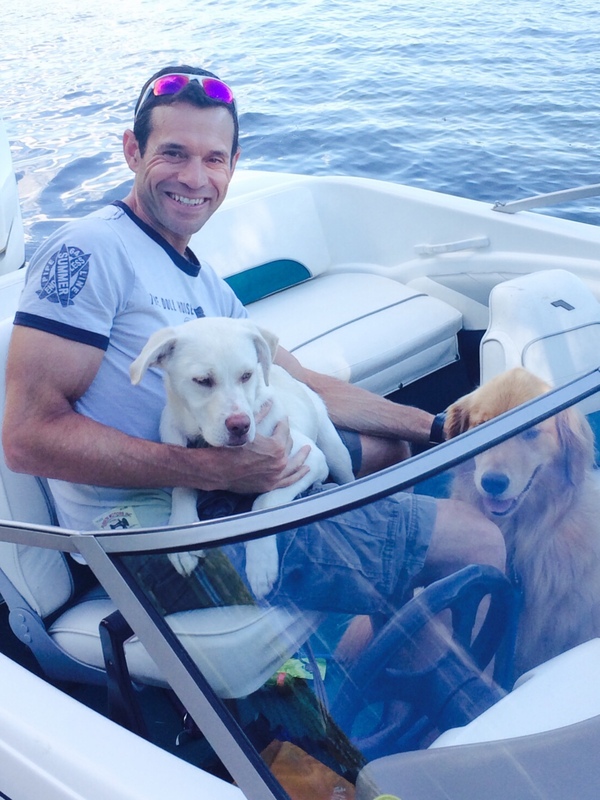 I am a 46 year old triathlete from Brookline, NH. IRONMAN® Lake Placid will be my first Ironman®. This is my second year with EN and the progress I made the first year gave me the confidence to sign up for Ironman® Lake Placid. I joined the MMRF Team for Cures to give this physical challenge greater significance. 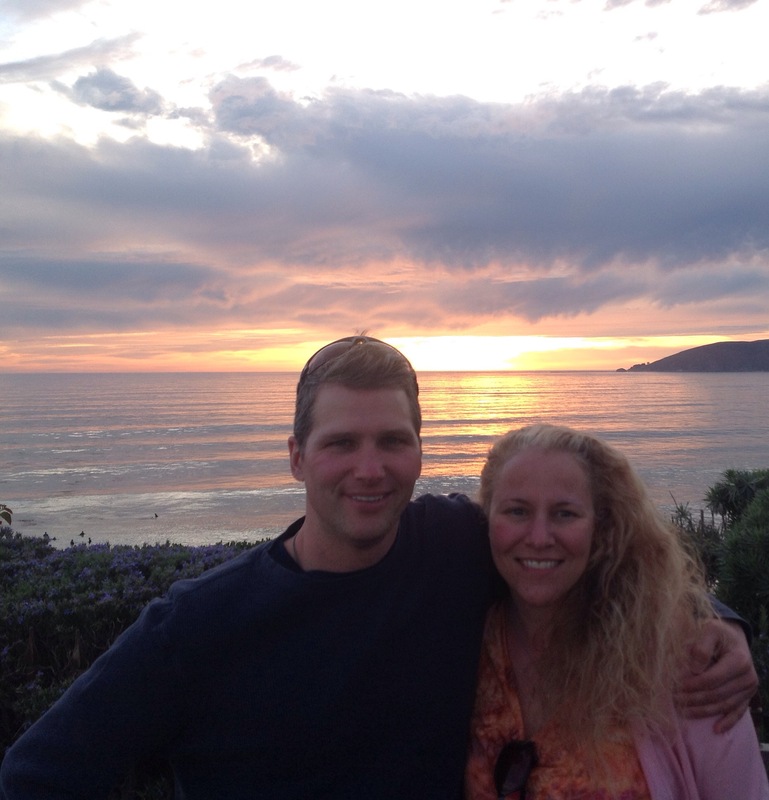 My friend Jeanie Dryer is a multiple myeloma patient (and marathon runner) and a source of inspiration for me. She is an active mother of two sets of twins who, despite her 2010 diagnosis has consistently upheld a positive attitude. The way she has battled this disease inspires me. It makes my toughest days seem easy. I also face my own personal challenges, though compared to Jeanie it was minor. Four and a half years ago on December 29th, 2009, I woke up, stepped on the scale, and it read 200. I decided that day I needed to do something to change my life and the direction it was headed. I decided to run a marathon… I believe that if someone wants to do something, the only thing stopping them is themselves. I finished my marathon and then went on to tackle another, leading me to lose 42 pounds. In 2012, I decided to try triathlons and fell in love with them. The training has not only helped me keep the weight off, it has gotten me into the best shape of my life. My goal is to complete my first Ironman® and enjoy the entire experience. No matter what this will be a PR, and something to try and beat in the future. 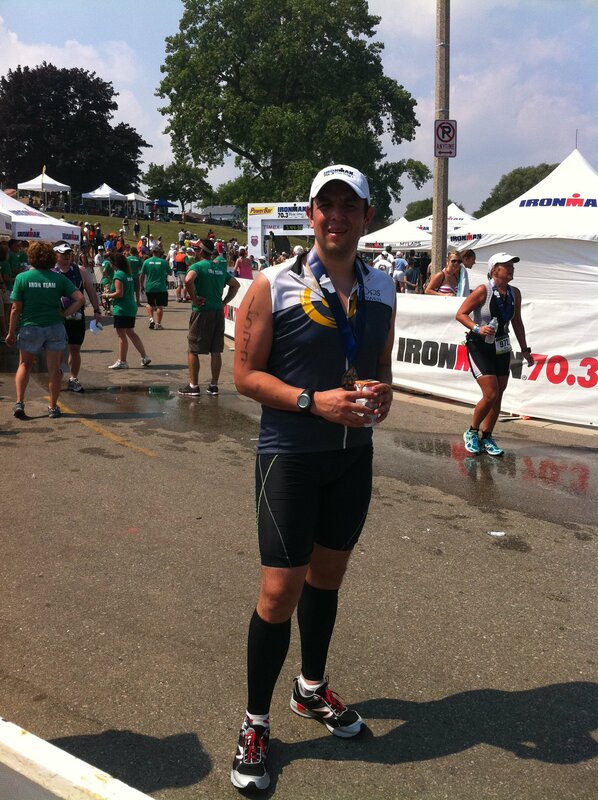 Hello Everyone, My name is Bryan Davis and IMLP will be my second triathlon, my first at this distance. I’m extremely blessed and excited to have the opportunity to take on such a monumental challenge with the support of my loving wife, Jennifer, and our two children Ella and Alex. I’ve truly come to understand it’s about the struggle not the triumph that defines this experience. The plan for the day: I will move through the start, transitions and the day with the mantra “Slow is Smooth, Smooth is Fast”. I will race “my race” and not someone else’s. I will anticipate the challenges the day will bring and make small adjustment vs. encountering game changing events. Understand that it is up to me to enjoy the day and to have fun. Thank and encourage as many fellow athletes, volunteers and spectators as possible. And one last thing – to know that there IS enough time to finish before dark. I reside in Ridgefield, CT with my wife and 2 kids. 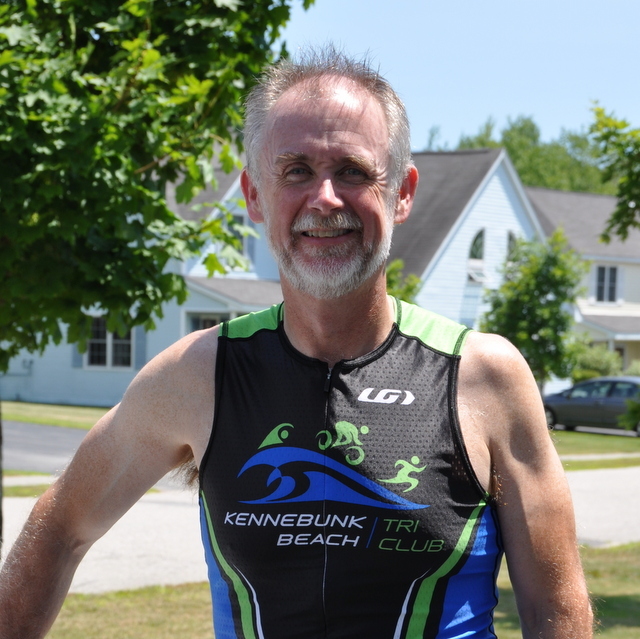 This is my 4th season in the swim, bike, run game, but my very first Ironman® distance race. The fact that I’m racing it, along with my wife at Lake Placid is really a dream come true. Four years ago, many more pounds, and much less fitness, Ironman® wasn’t even on my radar as a possibility. But, here I am, and despite being nervous, I’m extremely excited to be here! Volunteering at IMLP last year was one of the most emotional and inspiring experiences of my life. Since then, I’ve taken that final loop around the oval in my mind many times while training. My goals for IMLP are to use my fitness and all I’ve learned to get me through the course to the best of my ability, to finish with a smile, and to celebrate with my wife at the finish line! Years in sport: Technically 20, seriously 6ish? Background: Worked in a bike shop until I turned 21 and have been a police officer ever since. Three kids, wife, three dogs. Goals: Finish, PR swim (<1:13), PR run (<5:10), not get truly embarrassed by my brother (EN teammate) Ben Hales. IMLP will be my first Ironman®. I have been an athlete my entire life and competed in Division I gymnastics through college. I started running after college and have been a runner ever since. I lived in California for 6 years and did a lot of mountain biking. 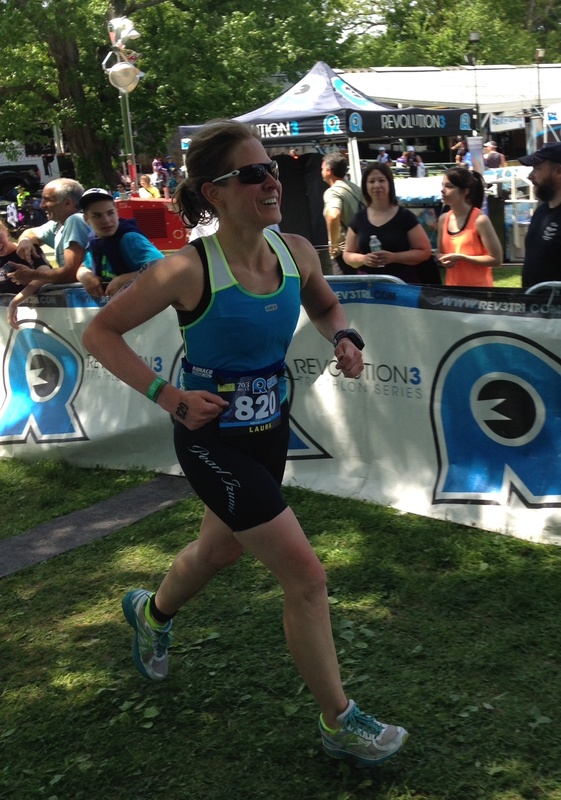 After having kids, I decided to get back to competitive sports and became a triathlete. This is my third triathlon season. To date, I have completed a handful of sprints, some Olympics and 2 half iron distance events. 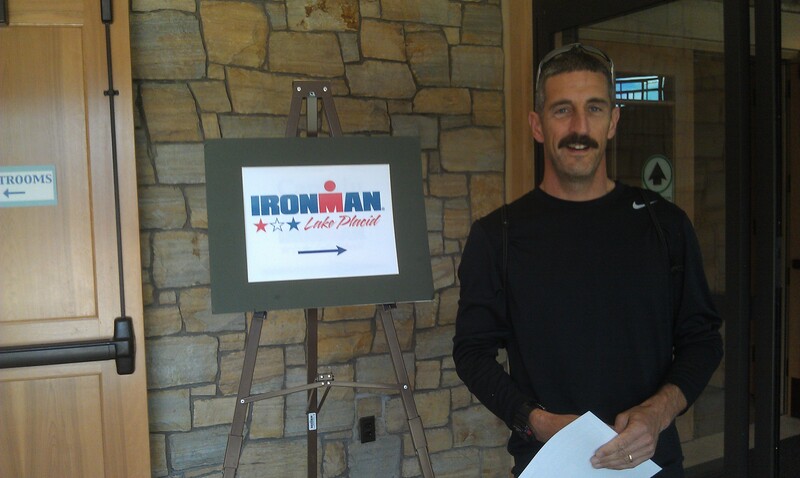 Ironma®n Lake Placid will be my first full Ironman. I’m very excited to see what I can do! Hello! I’m 41 years old, from Lancaster, PA. I started triathlons in 2007 and LP will be my second Ironman®. 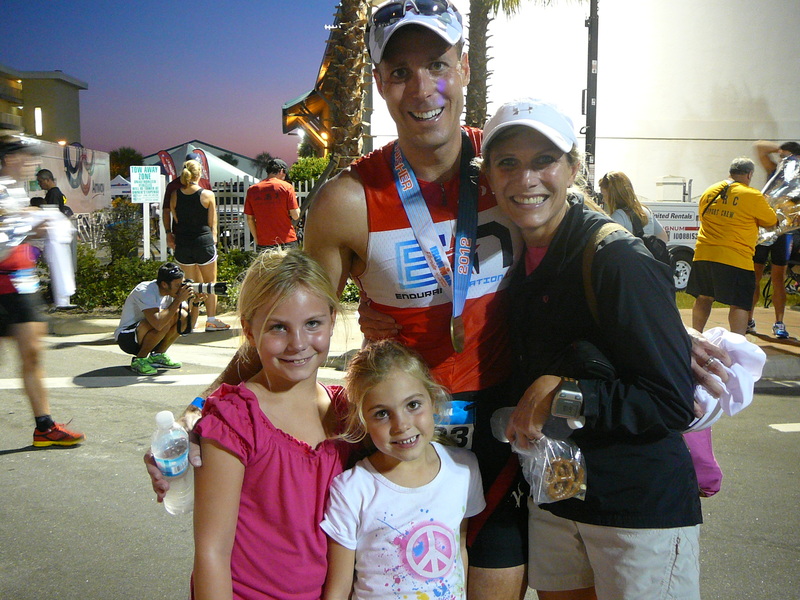 I raced IM Florida in 2012 with Endurance Nation and had a great experience. I’m looking forward to the extra challenge in LP as well as the EN camaraderie and mojo. I’ll be accompanied by my wife, Dana, and daughters Abbey (10) and Callie (8) – the best cowbell-ringers you can find! So excited to be heading to my FIRST IRONMAN® in less than 2 weeks!! I live in Manchester, Connecticut with my incredibly supportive husband and our loving dog Dante. Since I participated in my first triathlon, I have been hooked! I went to watch IMLP last year and it was a life changing event. At that moment, I knew my goal was to start my journey to become an Ironman®. I have been on my journey since then with all its ups and downs, but enjoyed every moment. Preparing for this has truly been a challenging but wonderful and rewarding experience. I am SO thankful for my supportive husband, family and friends who have helped me along the way. And of course I will be forever grateful to Coach P and Coach R and all my amazing teammates for the guidance, motivation and support! Looking forward to supporting each other out there on the course! Hello all, I am originally from Mexico, however, I now live in CT with my wife and two amazing kids. IMLP means several things, it is the conclusion of a journey that has put a lot of pressure on our family, but it is a way for me to show my kids big things can be accomplished, it is also a attempt to redeem myself after my failure to complete IMCDA last year. Finally it is a test to myself, it is a way for me to see how far I can go, what am I really made of. I will not be the fastest, that is for sure, but I will do my very best to be smart to cross that finish line. Oh, I also really really want a jacket that says finisher on the back! Hello Team. My name is Antonia, and I am a wife/mother/yoga teacher/fitness instructor/sometimes personal trainer, who loves to swim, bike, and run in her “spare” time. In 2008, I got involved in triathlon on a dare, and haven’t looked back. This is my third year with EN, and IMLP 2014 will be my third Ironman®. This year I will be taking my body 140.6 miles as a part of Team Ride to Give, to help raise funds for a little girl named Eliza, who was diagnosed with a rare terminal genetic disease called Sanfilippo Syndrome – Type A, so that she can get the treatment she desperately needs. Started with a couple of sprint tris and one olympic distance tri in 2012. Last year I added a couple of 70.3 tris to the mix and then decided to go for the full distance. I chose Lake Placid due to both the history and the accessibility. Since this is my first 140.6 my primary goal for the race is pretty basic, I want to finish feeling as good as possible. I have some times that I would like to hit but I don’t plan on racing for them, I’ll use them more for evaluating the day after it’s done. I’m heading out there with the intent of following my power and pace plan as closely as the day allows. I am from Oswego, NY and have been competing in triathlons for 11 years. I have completed 1 full Ironman® and that was last year. I am coming back to try for a better finish. Until this year, I had never been part of a team. I am a member of Endurance Nation this year. I had also never had any formal coaching before this year. Coach Patrick McCrann and Rich Strauss have giving me a great deal of help preparing this year. I approach this year’s race with great anticipation and am hoping to achieve some big goals. I am from New Orleans, La and have been participating in tri’s since 2008 (I think). My brother, Ethan, is also participating in IMLP and my goal will be to cut into his formidable time advantage built during the swim and bike to maintain a respectable time gap at the finish. I also hope not to end up getting IV’s after the race like IMTX two years ago. I suppose I have also set the goal of remaining upright and in control on the bike descent. Given that all of our training is on the flatlands the elevation changes should be an exciting new experience on race day. My exceedingly patient wife, Kendall, will be with us during the race and has offered to put her Physical Therapy and dry needling skills to use if anyone needs her. Looking forward to the week and the race, best of luck to all. Doug Johnson fighting out of Rochester, NY. This is my 3rd year of long course triathlon and this will be my 3rd IM. I’m looking to put together a complete race. If I race to my full potential I am expecting a significant PR. I am excited to cross that line again. I am just as excited to race with all of my EN teammates and see them reach their goals. I want to thank the coaches and EN teammates for all the advice and support leading up to the race, especially those posting in the IMLP threads. My name is Peter Beauregard and I am from Sudbury, MA. 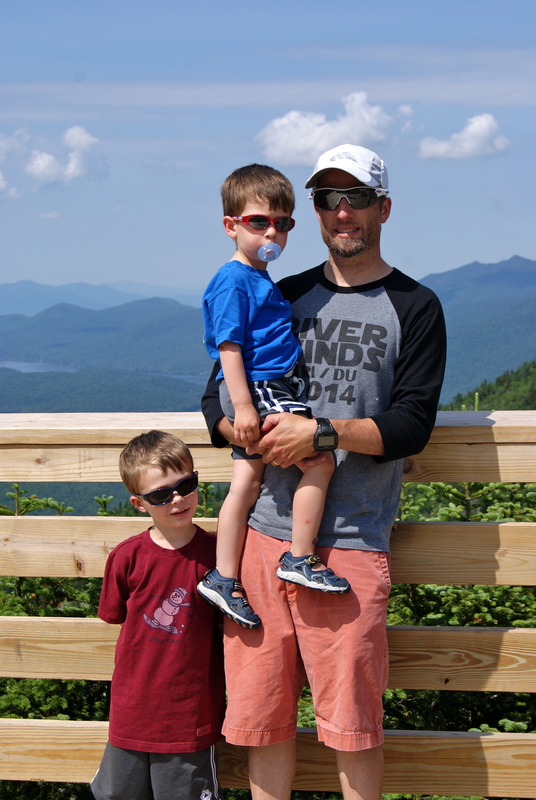 I am a husband, father to two boys (age 2 and 5), and a 1st grade teacher. I’ve been and endurance athlete for many years starting with running, then cycling (both mountain and road), and finally swimming. Last year I raced DH mountain bikes with a few road races thrown in. 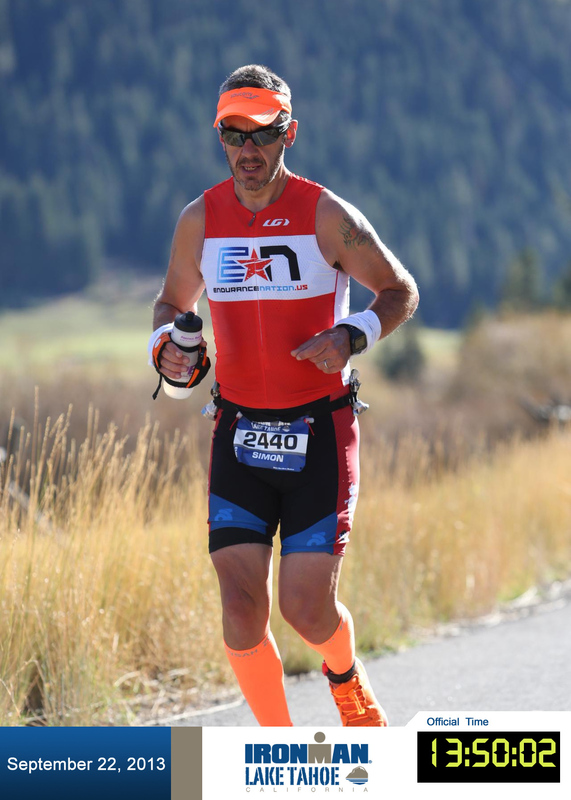 I wanted a bigger challenge and figured Ironman® distance triathlons were the place to start. 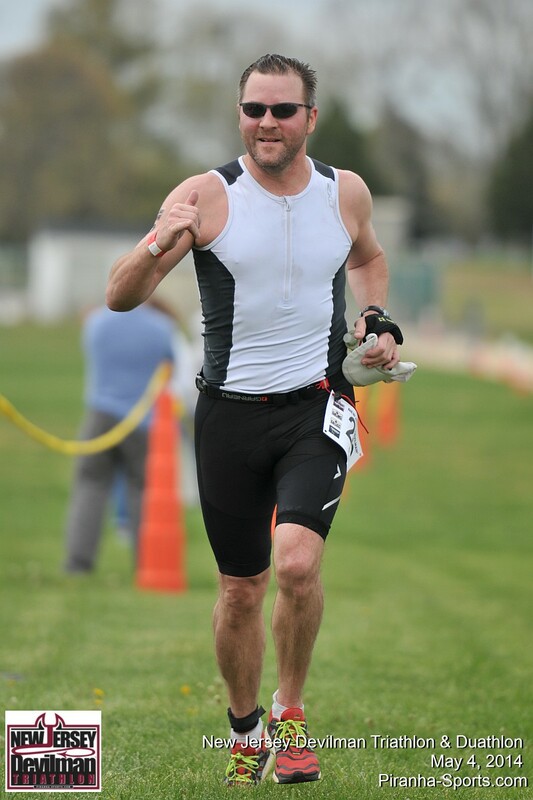 I have been doing a few triathlons every other year for the last 6 years or so. I want to be a good role model for my kids at home and my kids at school and to show them that you can do whatever you want to do with some hard work and dedication…even if you have asthma. Both my boys and many kids from my class have asthma, as I do as well. There has been many missed days of school, and many doctor’s visits because of this disease. This will be just one of many endurance events that I will be doing in the next 5 years to advocate for asthma. As for goals, I really just want to finish. Yes, of course everyone has “times” that they have in their mind. I won’t be disappointed with whatever time I end up with. In looking at all the numbers from my not so good outseason, to finally finding the right combination of nutrition to go with my food allergies……I am looking at the 12-13 hour range. I want to be solid in every aspect of the event. Need help executing your next race? Get our Long Course Triathlon Seminar.